Indigo is an ancient plant-based dye with a distinctive blue colour made from the leaves of the plant through a process of fermentation. Throughout history indigo was revered and sought after as a valuable commodity, often been referred to as blue gold. Fabrics dyed with indigo were not only used for fashion but also for religious rituals and to distinguish social or political status and still today, it provides one of the most wondrous and rewarding dyeing experiences available. The method and process is very traditional, often passed down from father to son. For us, this adds to the magic and beauty of this magnificent dye. 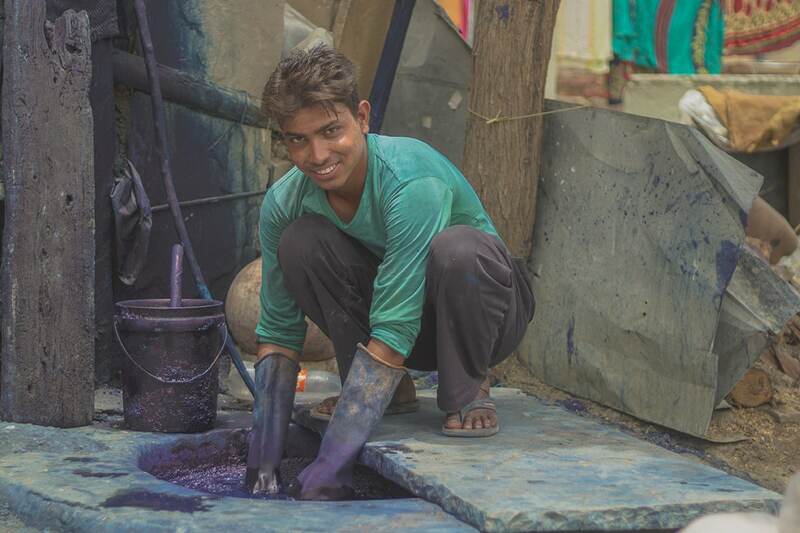 Dye vats are dug deep into the ground and the cloth is immersed right into the indigo solution using long wooden poles. When indigo is exposed to oxygen it becomes insoluble and will not bond to fibres and therefore a deep vat helps the dye to stay oxygen free. The dye mixture is quite green and doesn’t turn blue until it’s exposed to oxygen after which it will immediately start to turn blue. 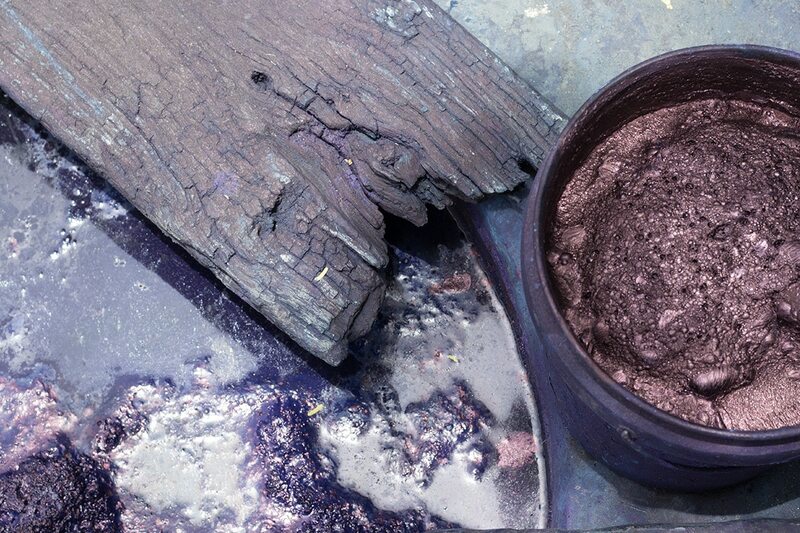 Indigo builds colour, so the darker the intended colour the more times it is immersed into the vat. Subsequent immersion times must be kept to a minimum to ensure that the newly attached molecules of indigo are not stripped off by the solution.